HOLLIS, Queens (WABC) -- Authorities say two people were injured, one seriously, when a wall collapsed at a building in Queens Saturday morning. 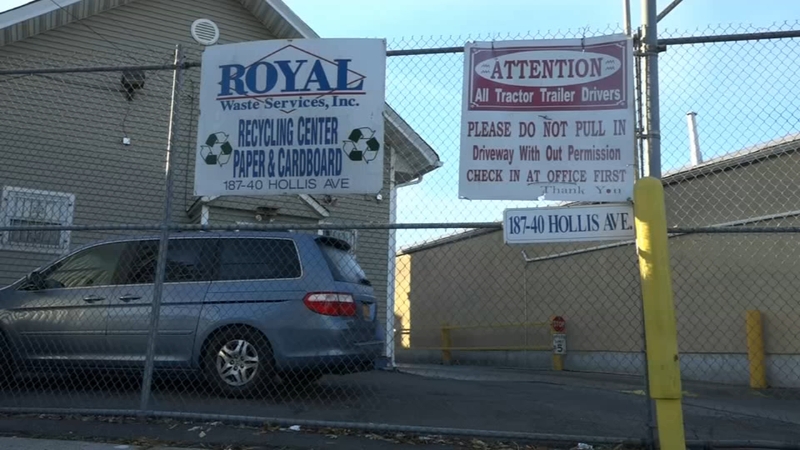 It happened at about 7:15 a.m. at a commercial waste facility on Hollis Avenue in Hollis. One man was reported to be in serious condition and the second in stable condition. Both were taken to Jamaica Hospital. Firefighters and emergency crews responded to the scene. The facility houses heavy equipment such as bulldozers but it's not clear what kind of vehicle was involved in this crash. The Department of Buildings issued a vacate order for the rear of the facility. The building owner and an engineer is conducting an inspection.